Frances still on track currently, an eyewall replacement cycle for the storm is currently underway... update at 5 to come. Hurricane Warnings are up for the Central Bahamas now. Forecast track remains similar to earlier today, and because of the size of the storm we might be seeing Hurricane Watches along the coast as early as tonight or tomorrow morning and warnings on Friday. It's still important to watch trends as it moves. Hurricane Frances is moving west northwest toward the southern Bahama Islands today. Frances is expected to take a more northwesterly course on Friday toward the central Florida peninsula. Frances should pass 25 to 30 miles southwest of Melbourne at 4pm Saturday afternoon - winds at that time near the center should be 115mph gusting to 140mph with winds in the Melbourne area and along the beaches at 100mph gusting to 125mph. The storm should be near Ocala at 11am on Sunday with winds down to 60mph gusting to 75mph at that time. Frances will become a slow moving storm over the peninsula, so expect an extended period of high winds and heavy rain. Flooding conditions can be expected with rainfall amounts of six to ten inches. Rain squalls are likely to continue on Sunday as the hurricane weakens and slowly moves to the north. I'll update this if any significant changes should occur. I urge you to take necessary actions now in order to prepare for this hurricane. Although things can change, confidence is starting to go up on this scenario. Check tonight again. If evacuations were necessary I'd expect to start hearing about them late Thursday or during Friday. Barrier islands along the Florida east coast from maybe as far south as Dade/Broward to north as Volusia could be evacuated, so be aware. Listen to local media and officials at this point. There still is some time for this to change. The potential for a prolonged period with hurricane conditions is concerning. 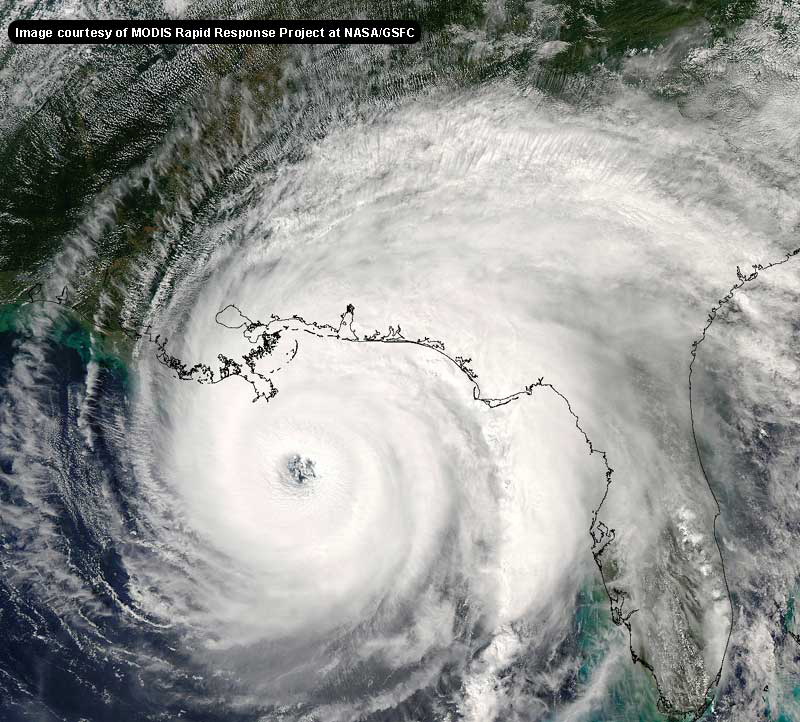 Jim Williams over at Hurricane City will be doing live broadcasts about Hurricane Frances startiing tonight at 8PM EST. Check the Storm Forum from time to time for comments on any new developing system. Even more on the links page. On the graphic that shows several of the model tracks, the NHCA9BE Model (Yellow) it looks like it has the hurricane track doubling back on itself. Anybody make any sense of this? Which quadrant of this storm is expected to have the most/least rain and highest/lowest winds? Just wondering if we'll be on the best or worst side of this as it approaches and passes us. Thanks. You know it's a bad day.....when you wake up and see Jim Cantore and Geraldo Rivera broadcasting from your backyard....literally! As I look out my window, as far as I can see down my street, there are shoulder high piles of limbs and debris yet to be removed. I also see "brown patches" up high in the oaks - obviously dead limbs yet to fall. I wonder how much more damage these flying objects will cause? My insurance agent advised that if we reported a claim from Charley and were hit again by Frances we would have 2 deductibles. She explained that if we were robed on tuesday and again on friday, that would also be two claims / deductibles. I suppose that makes sense, but at 5% of total coverage, for us that make it about $8000 a pop! Last time I lost power for 8 days - planning for it again in Polk County Florida. Thanks to all for keeping this board running and pertinent! Yes, I saw it too. I have the text model in front of me and it Does backtrack. Possibly a human interface data input error. I've seen some strange misprints with this storm, but Not This Strange. The latest Vortex has concentric eyewalls. Inner at 22nm and outer at 50nm. Other than maintaining her present strength, should we expect any changes from this rare pattern? OR 780 MILES...1260 KM...EAST-SOUTHEAST OF PALM BEACH FLORIDA. Hey all. Been reading forum for 2 years, and decided to go ahead and join. I was wondering who else, other than myself thinks there is a strong possibility she could re-emerge into the GOM and cause a major problem for the N Central Gulf Caost? Say between NO and Panama City? Well at least the UKMET model does, and the GFS did over last weekend. I checked back to the text tropical models on 8/29 at 00Z. The BAMD and BAMM have the best success of the 4 tropical models. Both being close to the actual NHC position. BAMM has the best track record the last 2 days, in the 48 and 72 hour forecasts. It was 0.0/ 0.8E off at 48 hours. About 52nm. First, welcome. As to your question, we in the OFFICIAL forecast area should discount models for the most part and concentrate on the probable fact of a hit as forecast. However, I see you are out of the area so, models are still a useful tool. There are good and often reliable models that suggest just your scenereo, so, keep tuned to this bat-channel and start considering your options IF that model suddenly becomes forecast. By the way, wake my sleepyhead son who also lives in Mobile and tell him to sober up and watch the weather news <grin>. A forecast is NOT a promise! Thanks . . .Guess even we up here on the Coast need to keep a close eye on her. I do hope and pray that none of our Cyclone Watcher friends in S.F. have to go thru another one so soon, but that is beginninmg to look inevitable. We'll be praying for all of you up here that's for sure. That projection does not work - no matter what you enter it says 0? Nice, but try to explain in laymen terms MCO, TPA. Those are the airline identifiesrs of ORLANDO, TAMPA (PIE=FtLauderdae), JAX=JacksonvilleFL, VRB=Vero Beach, MIA-Miami and so on. Most people, having traveled via air recognize their own and destination, but I agree, the others may only be meaningful to other pilots. ORL is Orlando Executive near where I reside but the International 'Orlando' airport is MCO as it used to be McCoy AFB until the city gained control of it.Often, lat/long coordinates are those of near by airports so when you go to your weather page of your local city, you will often be getting the lat/long of a nearby airport serving that city. My MLB (Melbourne) is the regional center around here and MCO and ORL are for Orlando area. DAB, JAX, OCF...these are also about to be affected by Frances. Assuming the BAM pakages(BAMM, BAMD, BAMS, LBAR) which are closely linked to the NHC, have been the moseliable in this system then expect the track to shift south and west again. Actually searching today for the point of convergence between the eastern most influence otf the ULL and the western most subtropical ridge,which is where the storm will go in my opinion, gives credence to the UKMET and NOGAPS solutions. The key for me today is the progress and transformation of the ULL which is now centered directly south of Florida, and the progress the storm has on pushjing that further west and south. So far the storm has elongated this ULL NE/SW, but there is still a point of vorticity just south of the tip of the peninsula.. As that point continues westward it serves to leave behind a ridge effect. 06Z GFS Model Run Nudged to the east a little. This model run has the eye hugging the coast to GA/SC landfall. Doesnt really mean much, but we shall see..
Dream like you will live forever.. Live like there is no tommorow.. Darwin Rules !! pardon my ignorance but what's going on with the ULL and the other high that's building to the west? That's strange, Dani. When I click on the link in my message, the tool pops up but without the 5-day forecast coordinates populated. Try this: go to the site's home page at http://stormcarib.com . Scroll down a little till you see the red bar titled Weather Discussions and Local Reports. Right under the red bar you'll see a link to How Close Can It Get? If you click on that link, you should get the CPA report with the forecast coordinates populated. Just enter your coordinates in the box on the left and click on the Show Me button. Does that work? Doug, I think you *also* need to look at the vapor loop this morning...it shows a big (probably) ULL to the EAST of Frances. Something is out there and *may* affect the track, but if you are currently in the forecast area, you *hope* the ULL's do move it away from you but are foolish to do more than hope it does. One has to plan for the probabilities, not the possibiliies with this short amount of time remaining. Right now, my tin box is in the middle of a forecast area for CAT III or higher winds in a shade more than 2.7 days. I hope the path forecasted is wrong, but I'll not count on it and thank my mker if it does move away. My prayers then go for those new souls that are affected. As this graphic shows (Thanks again Sketobyte), this is a BIG storm with a wide area of effect. I'd like to remind all in the forecast path that by the time it even GETS to shore, the landfall area will have had storm winds for HOURS. If it comes ashore in the MLB area for instance, ORLANDO will have had Hurricane force winds for quite some time already and TS force for much longer. The LAND FALL TIME is not 'how much time I have to complete preparations', it is many hours earlier....like by Friday evening at the latest. I hope all of the members of this forum realize this, but preach it to your neighbors that are stiing around watching local TV and NOT realizing the time is MUCH less than the landfall times would suggest. Interesting...can you make that graphic for the point before it comes ashore? near WPB/Bahamas area. I would like to see the wind swath down here in the PBC/Broward/Dade area. The spagetti runs from Hurricane Alley are VERY interesting to say the least. Take a look. Where can I get the coordinates for my exact location? I know I am sweating this thing out here in Deerfield Beach. Good posts guys! Reading this forum helps calm the ANXIETY some! God bless us all! Yea, well try 9 miles for me......I think its coming right over my house. Wow. That spaghetti model certainly tells the tale, doesn't it? Looking at the water vapor loops, I think this thing might get nudged a little north, more towards the cape than WPB as these models are trending. It seems as if the upper air just west of Florida is slowly moving north. Not a lot to spare Florida, just enough to push her more north when she gets close. SHe has slowed to crawl. I wonder what the 11am advisory will say???? Hello: the ULL to the east of Frances has no effect what so ever on the future path of the storm. The path will be determined by the point of convergence of the ULL to the west and the ridge...the storm will follow that air flow...all the models point to that...the further the ULL west retrogrades the more likely the convergence will continue south. I am actually on the central west coast where we DO NOT need this to come. In fact nobody needs this...it will finish the agricultural damage only begun by Charley to say nothing of the potential damage in lives and other property. This is not wish casting! But I am telling my associates that this system can and may cross the state and effect them on Saturday, which IS NOT being broadcast by the media here as they rely solely on the NHC guidance for advice. To me the NOGAPS and UKMET look all to reasonable to ignore...that's all I am saying here. With an eye 20+miles wide, it is likely that you both will be in the eye, along with thousands of your neighbors to the north & West along the path. I dont know how far the eye will be from my house. The Storm isnt close enough to determine that yet. The track will probably change a lot before we even have to concern ourselves with that. Whats important is preparing for the worst and hoping for the best. I don't see slowing to a crawl. Where are you seeing this? Here's another way to figure it out. Go to the national weather service website in Melbourne. You click on your area, a forcast comes up complete with the coordinates for your area. After watching all the animated models available..., seems like you are on the right track. I hope it hits north of metropolitan areas, especially WPB and surrounding cities. The main concern, since the eye is 20 miles wide, will be the amounts of rain into a 100 miles radio, plus possible tornadoes within the same areas.Congratulations for all of you for this great site. Latest vis loop at NASA....can't remember the link. It's on ATWC. any way someone can post the web address to punch in your Lat and Long to see where the eye is going? Lastest Discussion is up.. Weatherunderground appears to be having issues so I will post it here..
HURRICANE IS EXPECTED TO REACH THE U.S. COAST AS A MAJOR HURRICANE. THIS EVENING OR EARLY THURSDAY. Is it undergoing another eyewall replacement? The eye is looking a little raggedy in the last couple of frames. Absolutely. In fact, if the forecast track turns out to be dead-on, it is likely that all but maybe Ft Lauderdale (at the point) will be seeing Hurricane force winds, and for sure, strong TS winds. In your area, low areas will see some flooding in all likelyhood. Your observation of what is *possible* is also right on, a small shift in the actual track could easily put you in danger and IF the models happen to be correct, you could see the eye as easily as any of us in the northern 2/3 of the state. You are right to prepare accordingly. I'll be doing a lot more than praying for ya'll! My entire family is in Vero. I'll take a little flooding in Atlanta over a full fource cat IV or cat V hurricane anyday! >>> Lastest Discussion is up.. Weatherunderground appears to be having issues so I will post it here.. Thanks. Haven't been able to access wunderground tropical page for some time. This is a heavily populated section of the state with many reitrement mobile homes etc. I'm sure that the local forecasts will issue many special statements soon. within 100 miles of this path for extended hurricane force winds and torrential rains. I won't have a clue when makes landfall. I'm up here in Atl. But, I will be heading to Panama City Beach on Thursday (girls weekend!!!!!!) And if this does at much damage as I think it's going to do, I'll be headed down to Vero next week to help out my mom and grandparents. My advice to you is to build a couple of those walls to hide behind. Am I wrong in seeing more and more models taking her over Florida and into the GOM. This couls be a double whammy. Could restrangthen over the Gulf and hit as a major again. Where is Cat 5 rick when we need him? THE SUBTROPICAL RIDGE CONTROLLING THE MOTION OF Frances IS FORECAST TO PERSIST BUT TO WEAKEN. THIS WOULD ALLOW THE HURRICANE TO TURN MORE TO THE WEST-NORTHWEST AND NORTHWEST WITH A DECREASE IN FORWARD SPEED. The ridge could weakn faster, or more, than the models anticipate. I doubt a landfall in Northern Georgia / South Carolina, but somewhere in North Florida is still a good possibility. I can't help thinking what you're thinking jth. Didn't Opal do the same type of thing a few years ago? Frances does not look though as if she is slowing down at all.The other point maybe just a jog but she has been going due W for almost 2 hrs.We would need another 3or 4 hrs to possibily call this a trend. Opal didn't do that....she came from the Bay of Campche...but you have to look no further than Andrew to see that it can happen...and the conditions in the Gulf are more favorable now than they were for Andrew for strenghening...it all depends on how far south it enters the Gulf and how long it stays over water. Nope your not seeing things . This is looking more and more possible each model run. I'm on the East Coast about 10 miles south of Daytona Beach. I just got word that people living on 'Beachside' here, East of the Intercoastal Waterway, will be evacuated tomorrow morning and the Causeway Bridges from the Mainland to Beachside are being closed down tomorrow. For this county to do this at this time is very unusual. They normally let things lie till the last minute. Apparently they must be expecting severe things here, regardless of how the path deviates a little bit, or they would NEVER take this approach so early in the scenario. Hope this info is useful to some of you out there. To everybody who will be affected by this hurricane, my prayers are with you all, GOD BLESS! Jason...Are you starting to have your suspicions as well. This is looking like a setup very similar to Andrew, but a few degrees north. Meaning instead of south of miami and then LA, it could be north of Miami and Pensacola. I've had my suspicsions since Saturday....if the trend holds it will likely be in my forecast package tonight. Shawn W. -- I think the ridge being stronger/holding much more than the models anticipate is a better bet than it weakening more than they anticipate. There's just nothing out there that looks to be strong enough to weaken it to any large degree -- and by that, I mean turn it north sharply. Actually, Jav is correct. The past few hours have been due west. The long term is still WNW, but there has been a definite jog west recently. That's not good news, man. I've got enough stress worring about my family, not to mention worring if it's going to be a double whammy. And don't hurricanes like warm water? The huge eyewall is impressive...definitely a "trailer trasher"
Would you agree with the set up I described above. It looks more and more likely. Can someone please explain what the 285 #s are I dont understand if that is west or what. >>> Can someone please explain what the 285 #s are I dont understand if that is west or what. Those are degree readings...think like an analog clock. 0 degrees is 12 noon, 90 degrees is 3:00, 180 is 6:00 and 270 is 9:00 (due west). So 285 degrees would be just north of due west direction wise. Hope that helps. This is not exactly how Frances is going to come ashore. This is the best guess for the moment, and will continue to change. Who ever on the east FL coast gets this will know for sure maybe an hour or two before it makes landfall, so it's best to be prepared for the worse. Because of the way it is going to come at the coast, many people are going to feel the affects. And if they miss the forecast, and they do everytime by at least a small margin, it more than likely will be to the right. The Cape, Daytona (again!!) and JAX need to be ready for a really bad day Sunday just in case. It's not going to be a good day for most of us anyway, this thing is huge and forecast to stay a Cat 4. The rainfall amounts projected by the NHC have been small up to now because Frances hasn't run right over somebody, but you could be inside the rainy part of the storm for well over a day this weekend if you're in FL. If anybody comes up with a graphic showing how much rain FL could get, I'd be interested in seeing it. IMO, I think this is a good forecast, but I also think it's going to get bumped up the coast just a little before it's all over. I do not see the center getting into the gulf at all. My call from 72 hrs out would be Sat afternoon, the Cape to Daytona, Cat 4, and not moving in any hurry. Yea but the last frame the new one just a touch N.I guess she is doing the stair step.It was a good step W though.See how this plays out later tonight.I'm still thinking way S in FL. Frank P, I've been on the southern end of things for awhile now. There's a long discussion I wrote in the last thread (about 5-6 posts down on pg. 3) early this morning about the storm and don't really see a reason to deviate from that...particularly because that's been my thinking for a couple-few days now. In essence, I do think it'll make the Gulf, with people from Biloxi to Apalachicola needing to watch it, but it's probably a NW Florida storm once out there, maybe as a cat 1/2. There are some parallels between this storm's track and Erin, although I think the initial landfall will be further south in Florida while the secondary landfall may be slightly to the east. Just my feelings as of now. I'll probably not look at things again until late tonight, as I'm getting kinda drained and have work I need to get to. Since a circle has 360 degrees, a compass has 360 degrees, too. North is at 0 degrees. The cardinal points divide the circle into 4 equal parts. The intercardinal points mark the midway point between the cardinal points. Note that the cardinal points are also 90 degrees apart, because there are four of them. The secondary intercardinal points mark the midway points between the cardinal points and intercardinal points. * The cardinal and intercardinal points are separated by 45 degrees. I can imagine 3 tracks to get this storm out of here but for now..
Mayfield said in his interview even HE can't remember the last time the coast N of WPB got hit with a major storm. That is because they usually don't. Climo. Odds based on climo. IF there was a strong front/dip somewhere I wouldn't mind so much but I'm not a better and these are crappy odds that this storm doesn't hit further south. Check out the tracks for yourself and think before you reply. Also.. the ULL is not helping. Here's a detailed discussion about the possibility of a track across FL into the GOM. I don't know anything about the folks who produced this, but it certainly makes for an interesting read. Maybe Jason could comment on it? The latest signs are not promising at all. Some of the models, like the GFS and CMC are indicating a turn too far to the north, without any support from the 500mb vorticity fields. There are no ML troughs or lows that could turn the system. The UKMET responds to this condition by turning the storm to the west and into the Gulf of Mexico as does NASA and NOGAPS. Second, the trough over Louisiana is farther north than yesterday. These two scenarios are quite grim for Florida. However, what the models are in agreement with and are in touch with reality is that there will be somewhat of a WNW motion due to the weak upper trough. In short, there does not appear to be anything to spar Florida form a landfall. Track guidance is mostly based upon the GFS and the 6Z GFS is unrealistic indicating a SC landfall. While the landfall location is similar near the Palm Beach area although a few tenths to the south of 0900 UTC, the major change is that this forecast now brings the storm into the Gulf of Mexico and indicates a threat to the Florida Panhandle at the end of the period. What mechanism do they think could weaken the ridge as they imply in the discussion? Frances has been moving north of west, and that's what she was forecast to do. From 11am Saturday to 11am today she's moved 3.7 degrees north and 17.9 degrees west. Last night I looked at the projected path and eyeballed what I though the coordinates for the 8am advisory would be. I estimated them to be 21.4n and 67.8w. This morning at 8am I checked those coordinates and they were officially 21.4n and 69.1w. I still think this storm is moving faster west than some had forecasted it to do, and I personally believe it will continue to do so. Obviously it's going to take some jogs to the north, but I just don't see a drastic turn to the NW taking place. There are some interesting weather features out there now(i.e. trof, high pressure ridge), but I still see the ridge guiding Frances in a general westerly direction and for that motion to continue for quite some time. is that one a possibility at all? Looking at the IR loop, Frances seems to be looking a lot less symetrical. Is this due to eyewall replacement, interactions with landmasses, or shallower water? Or could it simply be all of the above or none of the above? Yes, the NOGAPS scenario is a possibility. Brian Norcross discussed that yesterday afternoon, the possibility of the storm moving NW or even N and then W just above Palm Beach. Apparently, the NOGAPS picked up on that possibility. But of course, there are lots of possibilities at this point, and only 1 model (I think) is suggesting that one. I'll stick with the NHC forecast track. It could be either side of the track. No one should make such an important decision about evacuating etc based on what one or two models say the storm "might" do. At the end of the day, the NHC has gotten the track right much more often than they have it wrong. There are too many folks who need to start moving away from the coast very soon.The big problem is where do these people go? Forcast are nice and all and I do support the NHC, but a forcast is just that. A prediction as to where something will go, there is not a clear path yet. Remember charlie was supposed to hit Tampa, and went in further south and east than predicted. Who knows this could go further north or further south. Too much time left in this game. Viewing the recent loop, it seems to me that the storm as a whole is on a due westerly course, while the eye has rotated a bit to the northwest of center. This could either indicate some minor shear, or even a bit of drag from the mountainous terrain of Hispaniola, even though far to the south. I think tracking the eye alone could be a bit misleading. so you think S. FL? I agree with Rabbit. Between North Florida and South Carolina. I expect the track to be shifted further west and a little south at 5pm based on the fast west movement today. Home Depot in Fort Pierce appears to be orderly today-people are getting prepared in earnest. 1/4 inch ply, 1/2 inch ply is available but there is a waiting line. I hope Frances just blows away. MIDNIGHT. 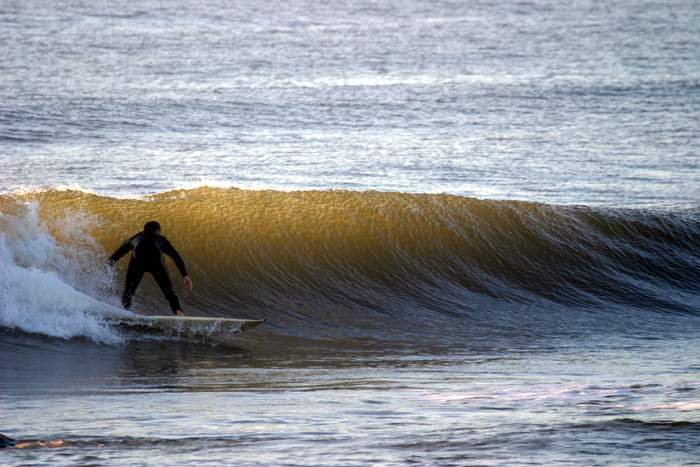 SEAS 8 TO 11 FT. A CHANCE OF SHOWERS AND TSTMS. FT. A CHANCE OF SHOWERS AND TSTMS. Above is an excerpt from NWS Charleston coastal forecast as of 9:42 this morning. The forecast for the Beaufort SC area is for "very windy" conditions Sat nite, Sunday. I am very confused. The NWS local forecast didn't pick up on winds for Gaston until shortly before they were on top of us. I realize "possible" means just that, but is there not more confidence in the NHC forecast track at this hour, than in the last several days, because the models have begun to converge?? As of last night, I was packing to leave the coast (Hilton Head Island), as early as tomorrow am, to avoid the gridlock of mandatory evacuation, which was pretty widely rumored to be coming on Friday. This morning, I adopted more of a "wait and see" thought process. Frankly, moving inland could be putting me closer to the storm, if the NHC track verifies. Anyone smarter than me have any suggestions, other than moving to Kansas?? NHC uses a consensus of their most reliable model data after taking all observational and synoptic data into account. This is almost beginning to sound like a discussion about where people "wish" it to go. The big question I can't answer is: If and when the authorities tell people to evacuate, where do they advise them to go? We all know how many people evacuated Tampa/St. Pete only to end up in the path of the storm. Bottom line is to be prepared for days and possibly weeks w/o electricity. Kansas has a ton of tornadoes Bill, keep that in mind. All joking aside, if they do call for an evacuation over your way, get out of dodge ASAP. I don't know if you were there for Floyd, but I-16 clogged to the point of becoming a potential death trap. then again I guess they could put two or three sheets together to cover one window...... that's better than nothing.. THE ULL WHICH HAD BEEN OVER THE BAHAMAS HAS OPEND UP AND IS NO LONGER A PROBLEM...IT HAS SEEMINGLY CREATED A RIDGE EXTENDING OVER THE STATE OF FLORIDA FROM THE GOM...THERE SEEMS TO BE NO VISIBLE WEAKNESS IN THE RIDGE, IN FACT I THINK IT IS FURTHER WEST NOW THATN EVER,,,THUS Frances HAS NO REASON TO MOVE NORTH THAT I CAN SEE...IF THIS CONTINUES TO VISUALLY REPRESENT ITSELF. I'M WITH JASON KELLEY THAT THIS WILL BLOW ACROSS SO. FLORIDA INTO THE GULF BEFORE TURNING AS THAT IS WHERE THE AIR FLOW SHOWS IT WILL GO. So according to this, do you think Miami/Fort Lauderdale is goign to get the eye? Watching this loop makes me think of a S Fl to GOM path. hur. force winds extend 80 miles out and t/s winds 180 so even if it goes north of miami they are going to get at least tropical storm winds. the ULL is near the keys not in the bahamas, and moving sw. and Frances is moving just n. of due west.and most models are taking it into cent. fla. or near palm beach. I think the Weather Channel estimated up to 20. I live in Naples, just south of where Chuck hit. So far its not looking too good for anyone in south FL. Whats the chance this thing will pull another Andrew? Just was able to get back online. We had a heck of a storm here last night that lasted 4 hours! Knocked out my cable modem, so I had to go swap it out. Anyway, I'm able to get Channel 9 in Orlando (I don't know why since I'm in Lakeland) and they are showing 100mph winds in Orlando. Now, I'm 45 miles to Orlando-Disney World. What I'm wondering is what to expect. If I'm reading Skeeto's windfield map correctly, I'm in those hurricane force winds. My husband just called and said he can get a generator, and for the first time in my life, I didn't know what to tell him to do. You know you're a hurricane freak when you wake up in the morning and hit "REFRESH" on CFHC instead of the Snooze Button. For what its worth, I'm not seeing any northward component happening, the upper level low falling apart ahead of it is the main reason. If the tracks are wrong it's probably biased to the right. So the Gulf scenario is a higher probability than the Carolinas at the moment, but by no means a sure thing. If the storms slows up sooner then the movement to the right would be more likely. Don't know if this has been posted...the 12Z GFS, which shows a SC landfall on Tuesday. Anybody give this any credence? Survived Carol and Edna '54 in Maine. Guess this kind of dates me! 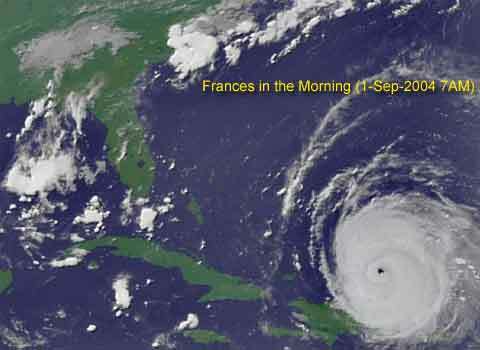 Frances continues to approach the Florida East Coast. Frances is a larger storm than Charley and has the potential of greater damage when it makes landfall. Hurricane Winds could extend outward 80 miles to the NE of the center and 60 miles to the SW of the center. Tropical Storm force winds (39mph or more) could extend outward up to 200 miles to the NE and 130 miles to the SW.
Next door in Bluffton here...I checked the coordinates of Bluffton on the site listed previously here, and it shows us about 180 miles away from the eye at its closest point. I know evacuation can be a madhouse here, but for now we are waiting it out. ""First off, the new GFS is too far north in the short term. By 00Z tonight, it has Frances at around 22.9n 71.3w. That means it would have to gain a full degree latitude from now until 00Z.... not goint to happen with a 280-285 heading. Secondly, I remain baffled at the GFS first moving the storm north INTO a 589-590 dm ridge. Synoptically, it digs the west coast trough which in turn develops the ridge over the east... with the ridge axis to the west of Frances. This tells me the storm continues WNW. Third, it stalls the storm off of the east coast...waits for the west coast trough to progress east, then lifts it into GA/SC. I think the stalling concept is absurd given the strength and orientation of the ridge. Those are my thoughts as to why the 12Z GFS is yet again out to lunch.""" The Chief Met in Orlando said that we will see fluctuations in the eye either due to strengthening, repositioning of the eyewall, etc. But I think you're right, too. Here's something else he said: that this storm is the size of TEXAS and the windfield (not the winds themselves) span an area from the Keys to Atlanta. If that gives anyone food for thought, take it with some Alza Celtzer. We have sitting projectiles all over the place, from Tampa to Daytona. They still haven't picked up the debris from Charley, and Orlando is in fast-track mode trying to do this. They also said that watches/warnings would probably go up tonight because of the amount of people they will have to evacuate and that voluntary evacuations of special needs people will probably start in the morning on the east coast. We still have a lot of people from FEMA here, so that is an inhibiting factor for hotel reservations. I mean, where the heck are all these people going to go? Colleen, I work in Orlando, just north of Colonial Drive on John Young Parkway. Sky is blue, winds are calm and it's actually pretty nice! I may be able to address that one model: at 10:30am, they were doing an EM conference in Seminole County. After that, they had the met on in Orlando. He said that all but one model (as of today) have come into line with a se central Florida landfall, except for one that takes it up to S. Carolina. He said that was the only one out of 25 models to do that, so I wouldn't put much credence in it. Frank do you know where you saw it posted that the met said that? Any link? Ty. Also Mike when you can, can you see if you can get the links up for the local NWS updates. I see the link says error. TY. I will post a new forcast on Frances in a hour or so. as soon as I had posted to Bill I came back and read your post and followed the link, so I ask also of anyone within reading distance: how much credence is there to this scenario? Obviously this is a different storm, but didn't most of the models for Charley have it heading into Tampa, where as just one had it going further south, which it ended up doing? Could see something like that again here, possibly, but these are two different storms. I've been reading all the discussions here for a couple of days and sincerely THANK the "hurricane experts" here for their sensible and knowledgeable analysis of this looming monster storm! We live in Sebastion, FL - about 20 miles south of MLB. We are about 6 miles inland in a frame house with concrete foundation, but in a neighborhood with LOTS of big pine trees. Our landlord cut down the big pine in our front yard yesterday. I am disabled - nearly bedridden), but my hubby is healthy, along with our little chihuahua. What are your ideas about us evacuating? Should we, and WHERE in the world should we go? (from the GREAT graphics posted, it looks like most ALL of FL will be affected by those high winds!) We have bought supplies - should we just get boarded up and stay in our safest room...or get on the road? If the storm comes in as shown and predicted, we here in the Sebastian and MLB area will be under the gun for quite a few hours (from early Sat. a.m. to at least LATE Sat. nite or early Sunday morning). We went thru the storms 10 yrs. ago in Pensacola (Erin and Opal) and that was unforgettable...Erin was supposedly a Cat I, but she blew the roof off our motel - we high-tailed it on Opal to Birmingham and ended up right in her path and spent the night in the laundry room of a KOA campground, LOL! Opal WAS a Cat 5 at the time we got mandatory evac orders, and the bad weather and winds arrived about 16 hrs. before she hit, so packing up the car and RV was pretty rough...just saying this to CONFIRM that the bad weather from Frances WILL arrive way ahead of her, so anyone affected, PLEASE get started and complete your plans and preparations NOW! So, PLEASE...will be grateful for any advice that the knowledgeable folks here can give us! Thank you for the reponse and to anyone else who has done so! Welcome, Roberta. My best advice to you is this: if they tell you to leave, leave. Even if you aren't told to leave, but don't feel comfortable since you are disabled, listen to your gut and go. They will be having a special needs evacuation in the morning. Better to be safe than sorry. My prayers and best wishes are with you and your husband. Also...I did hear about a special "pet shelter" in Seminole County. If you can get Channel 9 out of Orlando, tune in, they have lots of information. Good luck and God bless. I know your area well and wish that it misses one of my favorite places in the state. That said, Sebastian is no place to be if this storm hits where it is supposed to. It's pretty flat and the winds there will be worse than either of the storms you described. My advise would be to 1. either make a hotel reservation in Orlando and get there no later than Friday morning or 2. figure out where the nearest shelter is and be prepared to ride it out in the shelter. 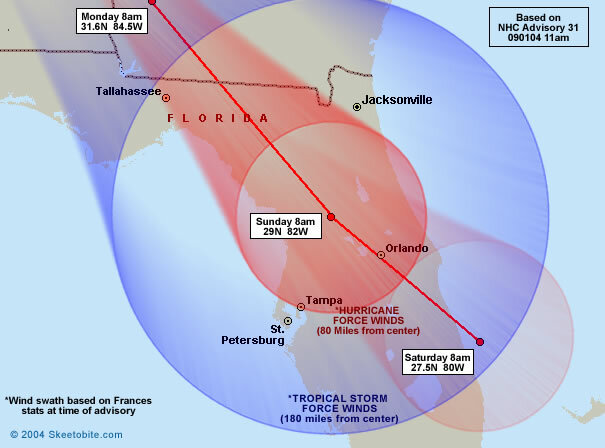 The hotels in Orlando, especially the ones built in the last decade, are designed for strong winds and are going to be much safer than the area around Sebastian. Harris Rosen, which owns two Quality Inns on International Drive, a Rodeway and a couple of others, will be offering discounts to those who have to evacuate. 407-996-1600 is one of his hotels. We live in the Ormond Beach area and are torn between leaving and staying. Can anyone give me a little advice? Just heard from our neighbors, a local engineering firm, said they did a storm surge analysis for Brevard County. The results were that with a category one hurricane directly hitting the county, most places would experience a storm surge all the way to Interstate 95. By all means...if they tell you to leave, DO IT. Especially if they ask you for a next of kin if you decide not to leave. Anyone near the beach will need to leave if you are going to be in any danger. Once they close the bridges, you're stuck. Is there still any chance of this monster pulling an Andrew and heading anywhere near New Orleans. Check it again, Steve. It's not on the wane. I'm still trying to find out an answer as to whether or not to get that generator. Any ideas? Anyone? 2. You are in a frame house. 4.. You are not too far from the ocean. my advice is to Evacuate to a sturdy hotel inland or go north toward Jacksonville or beyond. Just strictly my opinion, but it seems that the AVN has had a leftward bias in this season, and others. Living in NJ, it seems the tropical systems that have affected us this year ended up farther east than progged. Of course, the trend is your friend, but I would note that the AVN was also the first model to show a farther right track the other day. Then there's the matter of persistence forecasting. It seems the favored track this year is an east coast track (give or take). While this doesn't mean that it will happen again, I respect it. My personal opinion is that the actual track could end up to the right of where it is now. FWIW, the ETA seems to be all over the place. You being in Va., I am sure you don't even want to see drizzle. The slowing or stalling is going to make it an even tougher forecast. The best hope there is that the interaction of its large circulation with land will weaken it, but the moisture will still be there. if you do leave let someone know that you are and where you are going. Apologies about the site problems, most of the interactive sites, like this one and storm2k etc are having difficulties do to just the sheer amount of traffic. I'm working on reducing the downtime, and we're monitoring it. If the site goes down it should be back up momentarily. I'm narrowing down the causes of it and hopefully will get rid of it entirely during the event. Thank you sooo very much for your advice and help...it sounds like we better get packed, especially after Alans' friend's engineering firm did that storm surge study for MLB! YIKES!! One more thing...would it make any sense to head SW towards Naples?? It doesn't look like Orlando is going to be a picnic, either...but I AM going to call that hotel that you gave me, Alan. A shelter is out, since I will need a bed, plus the little dog, who is like our child, LOL! My daughter is in Okeechobee and just got a mandatory evacuation order, so she headed for a shelter. Bless you all...I will be praying for everyone's safety...this storm is HUGE...just heard that it is 400 nm wide and will affect most all of FL. Let me know what you think about Naples...or how about NC? I live in Palm Bay, about 11 miles inland. I'm staying, just boarded up the house and am fully stocked. Also for Brevard county residents, schools are closed Thursday and Friday. Very tough forcast to give especialy after 72 hours. First with the models we seem them change from run to run so dont accept a path a model shows cause it might change the next run. Can it be right? Of course but wait to see if the model initalizes that positon right to start, then see if it has the last 3-4 runs and shows the same path. If its been on track then that run gets favored but not set in stone. CMC has generally been off to the N of the current track. GFS has been just a tad to the NE over the last 24 hours as is most of the guidance. The tropical model suites have shifted every time the GFS does and the ETA has been 12 hours behind the GFS following tracks it has 12 hours earlier. NOGAPS and the GFDL have performed well during the first 24 hours but then diverage with the GFDL more N and the NOGAPS more WNW-NW motion,both bring Frances on a decent clip that its going now. Difference between the 2 after 24 hours is the NOGAPS been right while the GFDL nudes each run alittle to the sw due to it having to initialize the next run more sw at the start. The UKMET has adjust more NE but was too far N in its ooz run last night to today. Here's another number for you. The Orlando Convention & Visitors Bureau has developed a hotel hot line to assist those with evacuation needs. The number is 407-354-5555. It's running until 11 p.m. tonight. Re-opening at 7 a.m. tomorrow and staying open until all the rooms are full or weather shuts it down. sorry about spelling. Lack of sleep. MAX FL WIND 105 KT SE QUAD 1712Z. INNER EYEWALL OPEN SE-SW. So can we expect watches for Florida at 5am tomorrow ? Cat 1 does not send storm surge to I-95! For Volusia County residents: community college and public schools are closed Thursday and Friday. School Closed Friday for Orange and Seminole County Schools. Volusia County Schools closed Thursday and Friday..
does anyon know if there is access the drifting buoy? saw this in 2pm adv. No, I think you can expect them at 5pm tonight due to the amount of people that will have to evacuate. Before saying something isn't true, please explain how you know it not to be true? I said where I got my information about storm surge. I'm just relaying information from someone who did the study. For people interested in storm surge, click here. This one happens to be for MLB, but you can get any county. well see if she has an eye repla. going on and if it will make cat 5 or not! Here is the storm surge atlas from NOAA for brevard county and it is not a CAT 1 a Cat5 don't even reach I-95 in most places. Maybe they will rename the team "frances"
I would imagine that HWatches will go up at 5pm tonight if this is what we're looking at right now. 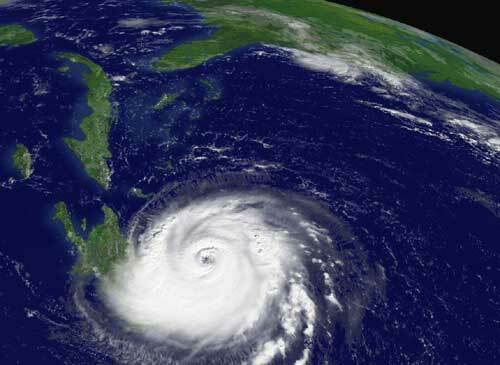 MIAMI (AP) Thousands of Floridians are being advised to flee ahead of Hurricane Frances. Just weeks after Hurricane Charley devastated parts of the state, another Category 4 hurricane is bearing down on Florida. A hit from Frances would make it the worst double hurricane strike on one state in at least a century. Martin County plans to urge up to 75-hundred residents to evacuate low-lying areas starting at noon tomorrow. More evacuation orders are likely along Florida's East Coast. NASA says the Kennedy Space Center at Cape Canaveral will be closed tomorrow and Friday to allow workers time to board up their homes and evacuate if necessary. National Hurricane Center director Max Mayfield says he can't emphasize enough how powerful Frances is. He says he doesn't see any sign of weakening. Great information and I will defer to those web sites. I should have checked more info before posting something like that. I know you were warning us things we had not thought of. It will be a mess one or another. This guy is good he has been forcasting in this area for a long time. He was around even as far back as Andrew. You can get regular updates from him at IRCES.com if you sign up he will email you with the latest including maps. The joke around here is "when he takes his tie off it's serious" Well he is on our local county station right now with his tie off. Saturday 2:00pm -7:pm-Winds will reduce. This is the best time line at this time. This will change as the forecast changes. It is unknown if we will have the most intense winds, but we need to plan for this. The ridge remains in place and there is no doubt in my mind that we will have hurricane force winds. Shelters will be opened at noon tomorrow, but evacuation out of Florida may be the better answer. Mandatory evacuations for the barrier island and mobile homes will occur tomorrow beginning at noon. Limited shelters are available because of the intense winds. We will have routes for evacuation tomorrow. Remember, the entire east coast of Florida is going to evacuate because of this storm. School is closed Thursday and Friday. A list of shelters will be available in the morning. This is a serious situation. If this system makes landfall near Indian River County, it will be the strongest hurricane in our area in history. If you stay at home, make sure your structure is safe for the most intense winds. This is a serious situation and everyone should be prepared for an extreme event. We will definitely tell family if we go and we will go if they tell us to get out. We are well inland so we don't have to depend on bridges and we have a straight shot to 95 so we're okay that way. We're just not sure whether we should stay and ride it out or leave. We're well prepared, even got an axe, chainsaw, plenty of propane and canned food. Got 9 gas tanks and we're ready to go so ... what kind of winds are we looking at for the ob area? Note: I reduced the number of posts showed per page to help with bandwidth. MAX FL WIND 120 KT NW QUAD 1729Z. I know Max Mayfield is very good and is emphasizing the power of the hurricane, but IR images (nd Dvorak) show the convection has weakened considerably since this morning, and she's looking rather ragged. Is this really part of the EWR, or lack of SW inflow due to her being north of the DR....or just plain weakening??? It also looks like the storm is becoming elongating with a north/south look. That usually signals a turn, but I would like to know what others think. Look at the Water Vapor Loop from the front page. Also heard on the radio, evacuation for the barrier islands in Brevard County(Merritt Island, etc.) I believe they said tomorrow at 2pm. Earlier in the day a user wanted a source to determine their coordinates. We have created a cool tool for this purpose. Search over 43,000 Zip Codes. Returns the geographic center of any Zip Code. Thanks Skeeto.......This happy gal is getting very nervous....going home to put up shutters tonight...getting scared down here at the north end of east broward county. I think she still looking healthy with still good outflow on the WV imagine.I would say that some eyewall replacment this afternoon but the shape seems to be changing some .The storm regaining her shape the ULL to the W is all but gone.She looks thou as if this will most likely keep moving for awhile at 280.The LBAR is on track wiyh this one and so is the NHC.Frances falls on the lowest side of the NHC track. So what gives?? is it backing up? Frankly, I'd get it, now, not later. Even if you evac, when you get back it could be days or weeks before power is available....if it misses you, you have one for those times 'normal' storms hit... Problem: Probably none are available anywhere now, but if you get lucky, DO IT! The last frame or two of the vis's seem to imply a slightly more N jog, but this could be due to the refomation cycle...we need a few more frames of imagery to know if this is the beginning of a NW turn...if this is not the beginning of the turn, it needs to start really soon to get the more northerly tracks to verify. Not sure what you mean by "backing up". The previous coordinates, at 11AM, were 21.7n/69.8w. Definitely still moving forward. Freak, then calm down and evaluate your situation. My suggestion, Leave for Savannah tonight, head for points west or north if it turns toward Savannah. I'm serious, if you do not have to be in Central or S Central Florida, leave while the leaving is good. If you can't leave or you live in a fort or are 'near the edge', take all of the reccommended precautions, get and store drinking water, batteries, candles, matches, clothes and blankets if you have to abandon (get them in the car...during the storm is a bad time for packing)get your stuff ready. Good luck. If that is a north turn, then it is the most abrupt I have ever seen. The last few frames are a due north motion. Must be a jog. are you refering to the ones that take it to the carolinas?? Local update. Schools have a half day tomorrow and closed Friday. Evacuations start in the a.m along the coast. WPB tv stations going to 24/7 broadcasting. My neighborhood has almost half the homes shuttered already. Shelters open at 2 p.m tomorrow. Just saw a line of 72 people getting propane. Yes, I actuallly counted them, just had to. Winds have gone NE and have gusted to 26 mph in the last hour. The overall circulation of the storm system has even started to create some shower formation off the coast of the Palm Beaches. This is an indirect effect. Looks like this area could take a huge hit if the track keeps moving south and west. Watches to come soon. Hurricane activity is increasing and the Red Sox are choking. May be the reformation and apparent shrinking of the eye that gives the appearance of a north movement. We will se in a few more frames. I can't get an updated satelite. The last 3 frames it seems to be going due NW, not WNW. vortex messagewas 59 minutes after the advisory. so it would appear that is is moving se?? am i not understanding the vortex or the time right? yep...should the northern turn not begin soon, the Carolina solutions look pretty suspect. The Vortex uses a different kind of system. There is a formula to use to extrapolate where the center is from the vortex message. From what you gave, it would be around where they said in the advisory. 5PM update has it moving more WNW across FL. Bahamas and for the Turks and Caicos Islands. Hurricane Watch remains is in effect the northwest Bahamas. of the Dominican Republic has been discontinued. 64 kt....... 70ne 55se 40sw 40nw. 50 kt.......120ne 75se 60sw 75nw. 34 kt.......160ne 130se 80sw 100nw. 12 ft seas..275ne 160se 160sw 275nw. 64 kt... 70ne 55se 40sw 50nw. 50 kt...120ne 75se 60sw 75nw. 34 kt...160ne 130se 80sw 125nw. 64 kt... 70ne 55se 45sw 50nw. 50 kt...120ne 100se 75sw 100nw. 34 kt...160ne 130se 100sw 125nw. 34 kt...170ne 140se 100sw 125nw. 50 kt...120ne 100se 50sw 75nw. 34 kt...170ne 140se 75sw 100nw. I think it is just the eye reforming, with maybe a slight more lean to the north, but not NW. Give it anoher hour or two. Keep in mind, the NRL site has sat updates as often as every 5 - 10 minutes, in addition, it looks like the entire sat pic is shifting north slightly, not just the storm... possibly a small wobble in the sat causing the seeming northward jog? we'll know more in an hour or two... paitence is the best medicine. It sure looks like a northern turn. I'm seeing light at the end of the tunnel for the first time today. It's faint, but it's a light caused by the elongation n/s and the northern jog. The question is is it a jog or a trend? On a side note, the new track is in. It's an extension, but a slow down of the storm. It now has it coming in at 115 knts, but taking 24 hours to go 90 miles. So there are no FL watches/warnings that we thought we'd see at 5? Is the NHC now hedging on a FL landfall? At 11 AM the NHC said Hurricane Watches tonight or tomorrow morning, so they are sticking to their plan. Probably just a jog, or eye-wall replacement cycle. We will know in an hour or two. on day 4 and 325 nm on day 5...and for intensity near 20 kt each day"
8PM, 11PM or very early tomorrow for watches. Lake County Schools will be out on Friday. All extracurricular activity has been canceled. Home Depot in Clermont had about 300 in line to buy up to 15 sheets of plywood at 11 AM. Me thinks it is all gone. Really expected a shift SW of the track. They are the experts. They could have been thinking about the shift and then seen the NW jog and decided to leave it the same for now. The discussion will tell more. Probably not close enough yet. "Hurricane watch: An announcement for specific areas that a hurricane or hurricane conditions pose a possible threat to coastal areas generally within 36 hours. 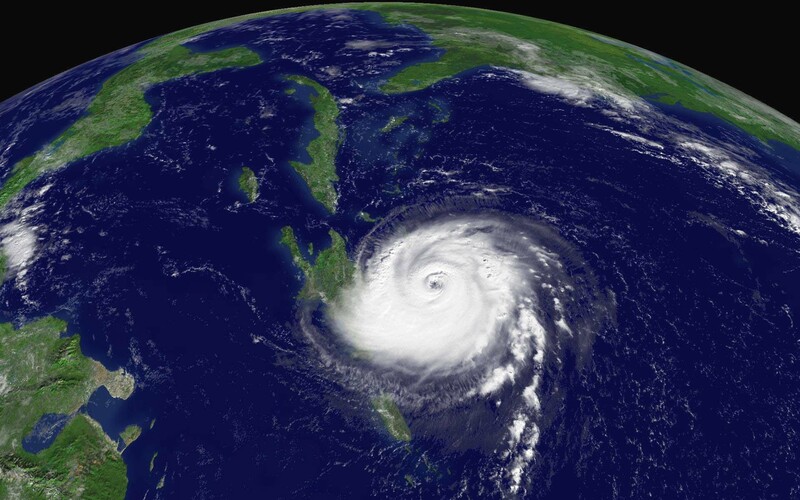 In New England, due to the rapid acceleration of most of our hurricanes, it is a necessity that you take action during the watch." I'm now feeling fairly confident on no Miami/Ft. Lauderdale landfall. If it comes ashore in Jupiter, we'll just feel a sailing breeze down here in C. Gables. It seems as if they may actually shift it north some. Watch for the Florida East Coast can be delayed a little. The discussion said the wind radii in the nw quadrant shrank a little, thus postponing watches until tonight. He also said they almost move the line right because of the GFDL and GFS, but decided to stay with the FSU and other models. FROM FL CNTR. EYE WALL WAS RAGGED IN SW QUAD. could there be a north track? GFS and GFDL have been reliable all year, but have been out to lunch so far with this system. Frances has been consistently left of those two tracks. Only time will tell, but the last frame on the sat indicates that the WNW motion has continued. I wouldn't place too much emphasis on those two models, but would do as they have done in this case and use the consensus approach until they all come in to line. Maybe the next run of the models will give us a better idea. Weren't there numerous Upper air recons in there this afternoon? 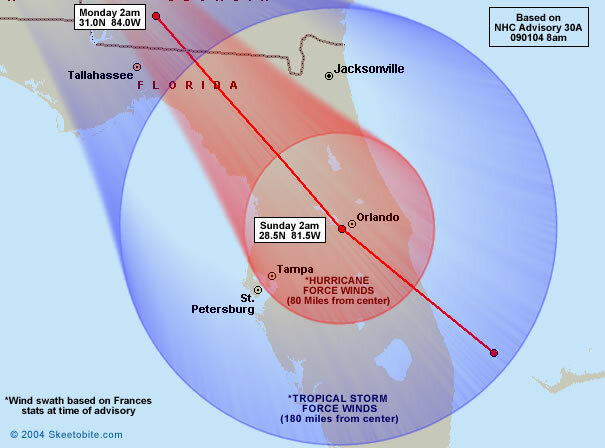 Would you please indicate the Orlando area on your map as to projected time and wind speed. Most people in Central Florida live in Orange/Seminole County but your latest projections run to Ocala which has few people. The discussion says that the SW portion of the eyewall was ragged. I think that part of the eye is kind of eroding away and that may be why it appears to have more of a north component now. At the same time it might just be making a little north jog; it's so hard for me to tell the difference. While not quite as many people in the Lake Marion county area's, I can assure you, the population in that portion of the state is quite substantial. Not "few people" as you say. It looks like NHC wants to move the track more Northerly but is hesitant to do so at this time. Oh great.. I was hoping for a SW shift of the forecast track.. what happens? Now I'm the bullseye. I'll be joining the throng of evac pilgrims to Tampa. Sheesh, first Floyd, now Frances.. I'm really tired of these "F" ers! At least all the people heading to Tampa are smarter than my family. They're going to evac Vero to go to Orlando. Did I mentoin that my family is a bunch of Polocks? I'm still not grasping what is occuring to cause the GFDL to show such a strong northward trend. A storm of this size is slow to turn any direction, it's like turning a semi-truck. In addition, I'm watching the "Mean Wind Analysis" and just don't see the steering capable of moving it much further north. Best of luck to all near the path. Hoping it stays away, my nerves are just recovering from Charley. Survived Charley at Cat 4 under a staircase. Won't do that again. I watch SW Florida and Abaco primarily.